I have one more fall card to share with you before we move into the holiday season. 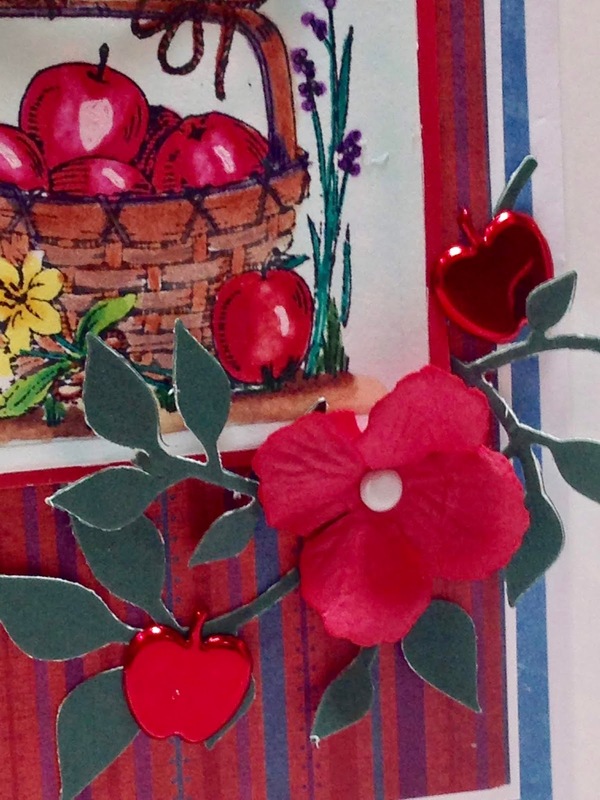 This is a fall card I made for my daughter and her husband. I used a very old set from Stampin' Up! called "Feathered Friends". I actually sold this stamp set, but I stamped off a few images before I sent it on it's merry way to its' new owner; and, I'm glad I did, because it is a classic! I colored the image and cut it out with square Nestabilities from Spellbinders. 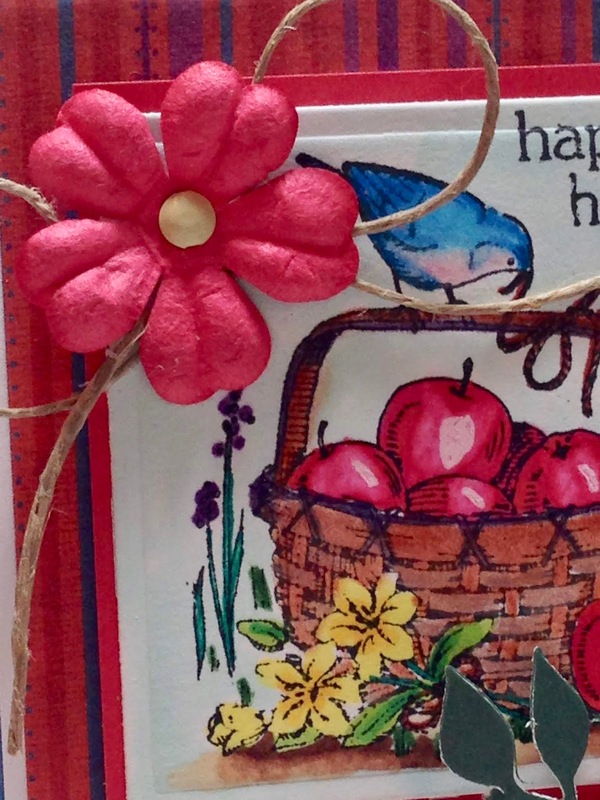 I added lots of embellishment to this card since it was such a tiny image. I used Prima flowers, a brad for the flower center, and some hemp cord for a bow. On the lower right corner I added another Prima flower and brad, but this time I cut out a leafy stem using an MFT die and I added a couple of shiny red apple brads. The designer paper is from an old DCWV fall mat stack. I created lots of frames and layers by matting it multiple times. 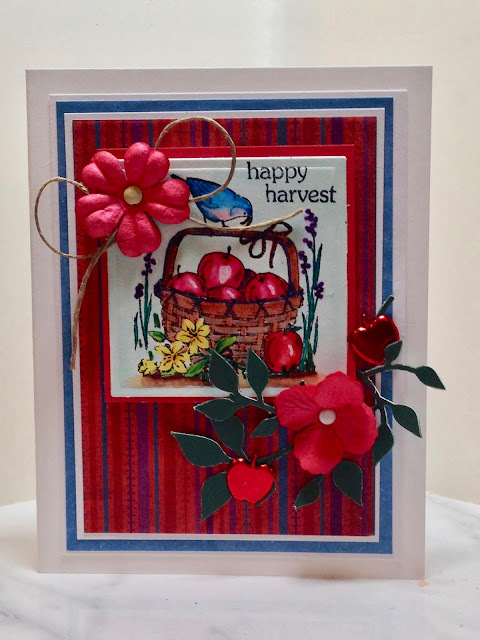 Labels: fall cards, handmade cards, paper-crafting, Stampin' Up! 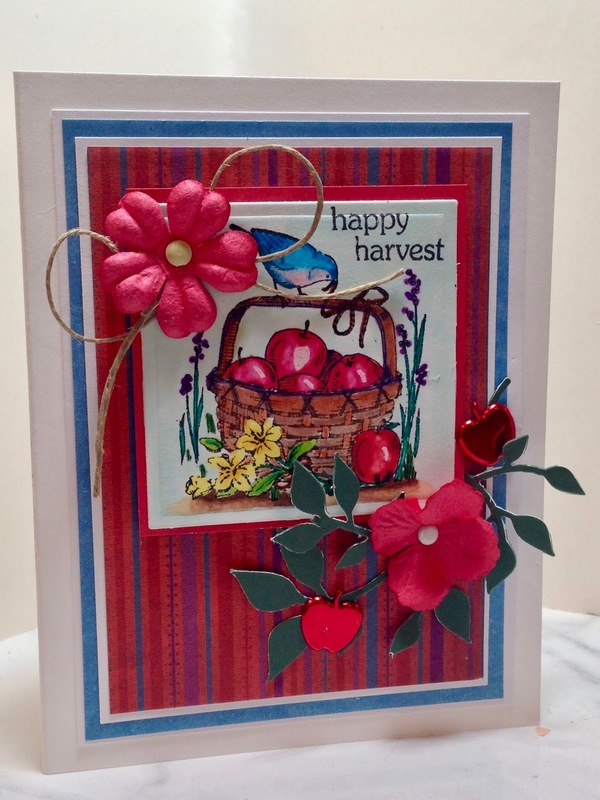 Such a perfect card for fall! This is a beautiful card Amy. I love the flower and how it really pulls the look of the card together. Your daughter will love this because I do. Happy Tuesday! Amy, that is beautiful! I love the colors in the card. You are SO creative! What To Wear On Thanksgiving If You're The Cook!